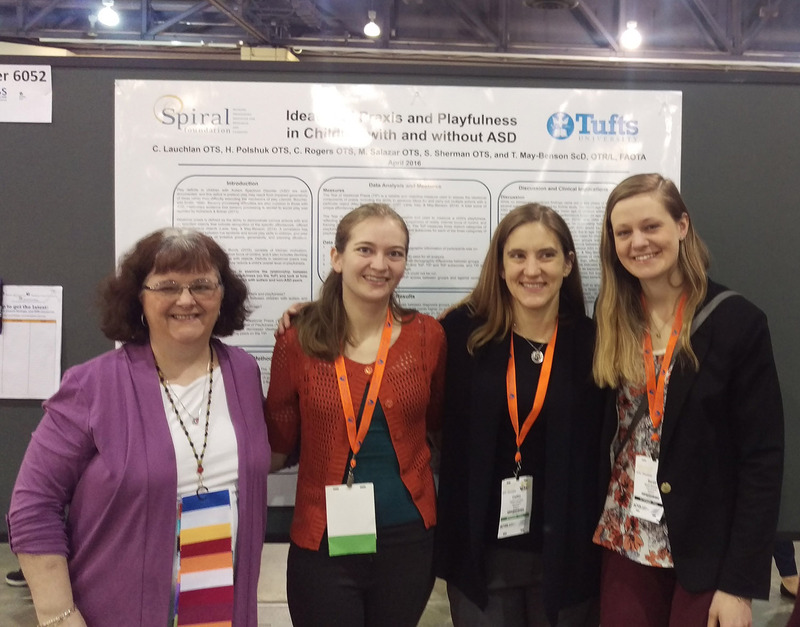 If you have any questions about past or current Spiral Foundation research projects, or are interested in participating in any of the studies detailed below, please contact our Research Assistant, Alison Teasdale at research@thespiralfoundation.org and (617) 969-4410 ext. 267 or our Executive Director, Teresa May-Benson at tmaybenson@thespiralfoundation.org and (617) 969-4410 ext. 240. 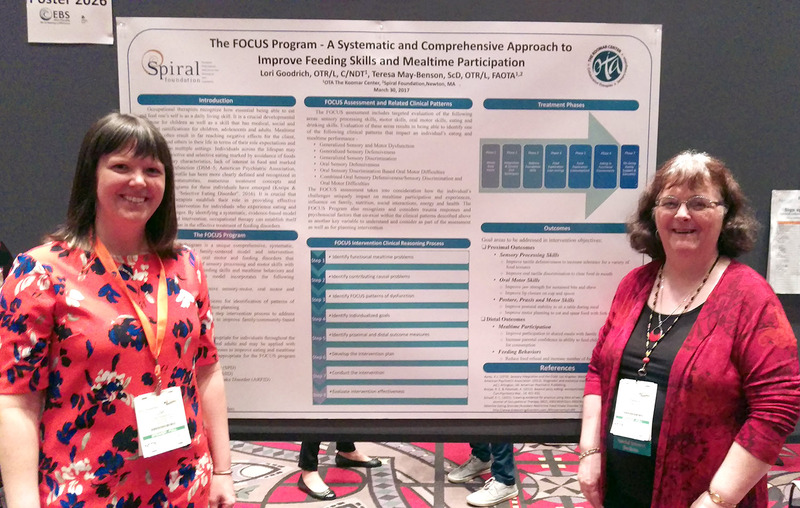 The Spiral Foundation has been engaged by our sister organization OTA The Koomar Center (formerly Occupational Therapy Associates and OTA – Watertown) to conduct a long-term follow-up study of former clients to better understand the stability of sensory processing patterns over time and how these difficulties impact occupational performance factors in adulthood. We are inviting randomly selected clients discharged by OTA from 1989-2013 to participate in a four part online survey and provide authorization for the Spiral Foundation to access certain information from their clinical records at OTA the Koomar Center. Participants may choose to complete two, three or four sections of the survey in one or more sittings. Results for standardized measures used in the survey will be provided to participants upon request. Responses to the survey will be matched with clinical data from OTA to examine the sensory processing and motor performance, quality of life, occupational performance and lived experience of adults who had sensory processing challenges as children who may or may not have received Ayres Sensory Integration intervention for these challenges. 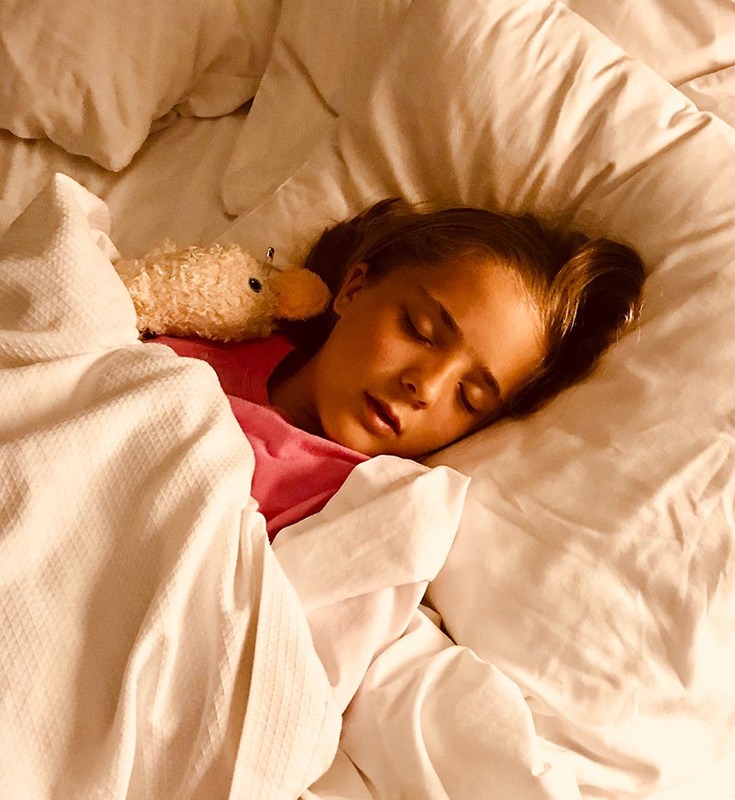 The Spiral Foundation has been engaged by Sleep’n Sync, LLC to investigate the effectiveness of one of their commercially available products in helping children to overcome problems with flexibility. Spiral will also be investigating the feasibility of conducting a larger effectiveness study in the future. 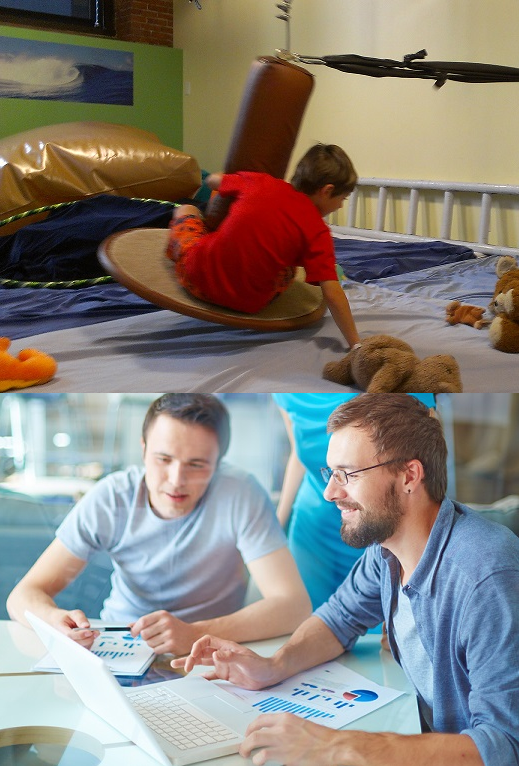 The Sleep’n Sync Flexibility I program is designed to help children overcome functional problems of behavioral flexibility, handling frustration or anger, or learning what to do to help prevent themselves being bullied. The program uses audio of a female speaking positive messages (including strategies) over engineered background music which is played to the child while they are sleeping. Principals of hypnotherapy, positive statements and openness of the subconscious mind while sleeping reportedly allow the child to access strategies provided when encountering stressful situations when awake. Children participating in this study will be aged 7-14 years with known behaviorial flexibility problems. Participation in the study will involve a 2-week pre-baseline, 8 weeks of listening to the Flexibility program, a 2-week post-baseline and a parent phone call meetings over a 12-14 week period. Parents will be asked to recruit a teacher or other non-relative caregiver to complete several short measure and questionnaires on the child’s behaviors before and during the study. Parents and children will also complete pre and post measures and weekly surveys. To be eligible to participate families must have the ability to play the program through two speakers while the child sleeps. Families can be provided with the results of all standardized assessments at the conclusion of the study and children and teachers will receive small gift cards as a thank you for participation. This study is open to all residents of the US as there are no study related visits. Currently recruiting please contact Alison with questions or to learn more about how to participate in this study. This collaborative research project with Dr. Heather Miller-Kuhaneck of Sacred Heart University examines the relationship between motor coordination skills and social play in young children. To be eligible for this study children must be between the ages of 3.0 to 6.0 years and either have an Autism Spectrum Disorder (ASD) or be typically developing. Families who agree to participate will make a single visit to the Spiral Foundation in Newton, MA. The parent will be asked to complete two questionnaires while a researcher completes four short motor assessments and conducts two fifteen minute play sessions with the child. The child’s assessments and play sessions are videotaped for later scoring. Children receive a small toy such as stickers or a toy car for participating, parents may request copies of scored standardized assessments. This study examines the relationship between two measures of Gravitational Insecurity (GI) in adults and adolescents. Eligible participants are aged 13-95 years with no uncontrolled seizure disorder or physical disabilities. 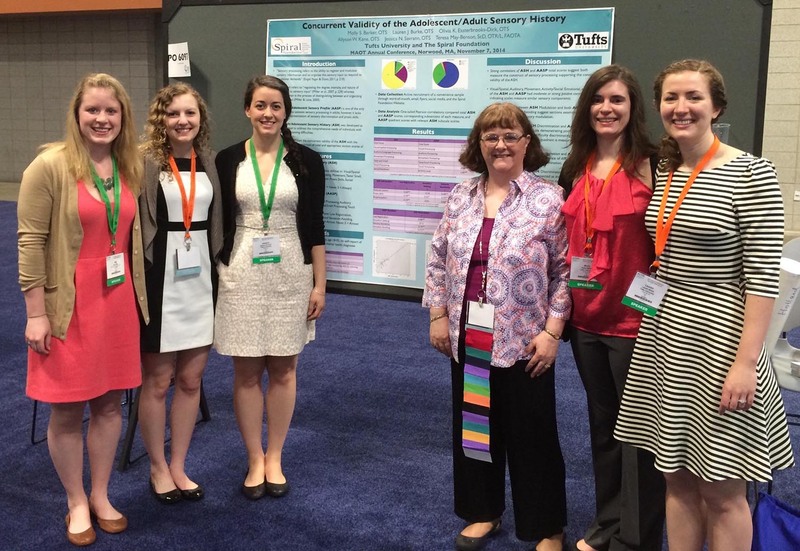 During one visit individuals complete the ten minute GI Assessment and the Adult/Adolescent Sensory History (ASH). The GI Assessment includes eight items which may provoke a GI response, individuals may refuse to complete any item they choose. If a strong relationship between the two assessments is found it may be possible in the future to reliably identify GI problems from an individual’s self-report responses to the ASH. To be eligible for this study children must be aged 3-17 years without physical disabilities. The study involves one visit at which children will complete three hand held mazes and parents a demographic form. 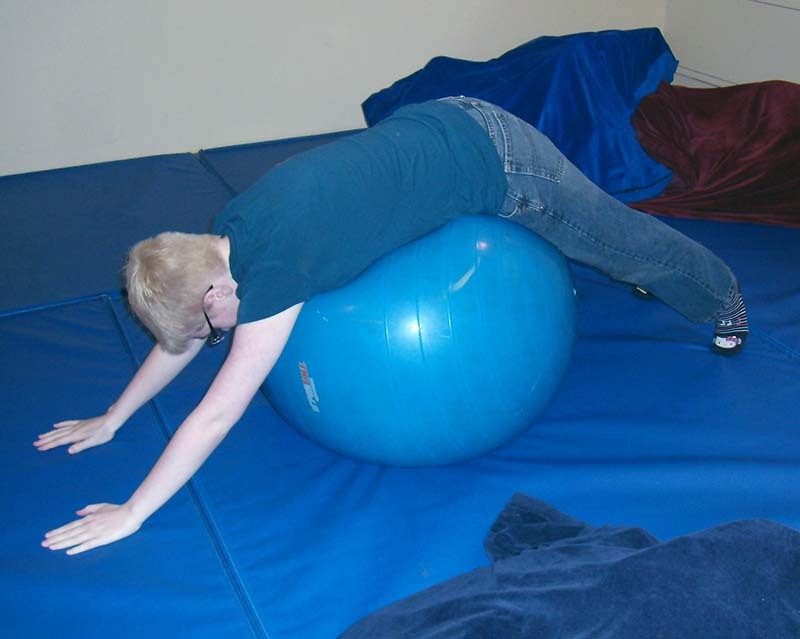 The Adult/Adolescent Sensory History (ASH) is a self-report assessment of sensory and motor behaviors commonly observed in individuals with difficulties processing and integrating sensory information aged 13-95 years. The ASH is currently only available in English with normative data for US residents. International colleagues are currently in the process of translating the ASH into several languages. In the near future individuals aged 13-95 will be invited to complete the ASH online. Information collected will be used to examine international differences in performance on the ASH and to establish local normative data for participating countries as appropriate. Not recruiting yet, please keep checking back or sign up to our email list – an announcement will be made when different language versions of the ASH are added to the research study.